“In Tune With Your Dreams” defines Michi Frederick, especially when it comes to the music of real estate. Born, Michiko Kashiwase, in the Ashikaga prefecture of Japan and raised in Tokyo, Michi was immersed in the musical arts, with a passion for opera and piano. She studied with the city’s great music teachers who immersed her in the world of German, French and Italian composers. Michi’s parents nurtured her artistic talents all the while instilling the ethics of commitment, focus, patience, persistence, strategy, integrity, and respect. These values not only provided her base foundation by which she lives, it is also what drives her success today. 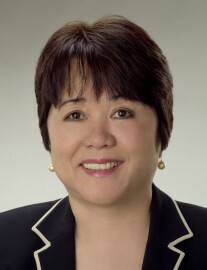 As a long-time resident of Honolulu and co-owner of Aloha Properties, Michiko is in tune with your dreams, whether you’re buying or selling a home. A respected broker and manager, she has intimate knowledge of the investment opportunities for families, professionals or those looking for that vacation sanctuary in Oahu. A top award winning agent, Michi is renowned for her negotiation, research and marketing skills, leading to a quick and efficient sale for anyone listing a home. Buyers depend on her years of experience and network of resources to find the perfect place. Her professionalism strikes a chord for anyone she works with. Call Michi today. She is, In Tune With Your Dreams.